The mountains meant nothing to me before. I never appreciated it and never in my life did I aspire to climb even the pandak-est mountain. Well, I used to be a lazy boy who just wanted to do easy things. But my perspectives changed after I successfully climbed Mount Pinatubo. It was one of my glorious days; seeing the turquoise-blue lake literally blew me away. Months prior my South Cebu trip, Jerome, Robbie and I planned to conquer Cebu's highest peak. I have seen a lot of beautiful photos of Osmeña Peak from the internet and read that the trek to the summit wasn't that difficult. 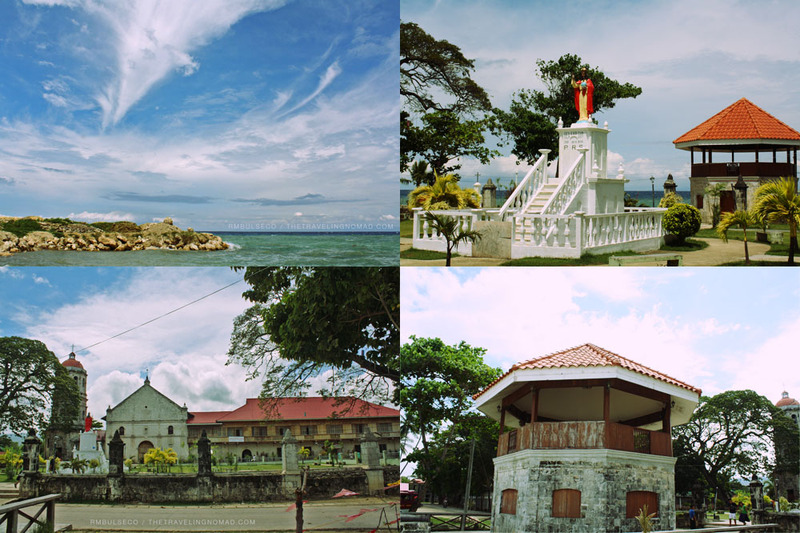 From Cebu City, we traveled at least three hours to the Municipality of Dalaguete. After we ate our lunch, we explored this peaceful town and took pictures of the beach and its church. The weather that time was perfect. And oh, who would've thought that the plaza comes with a free wi-fi connection? The local government of Dalaguete had installed a few wi-fi hotspots within the municipality. My device detected a 'strong' wi-fi signal but it left me disappointed since I can't check-in at Foursquare (lol). But despite that, it's an innovation considering that Dalaguete is a third-class municipality. 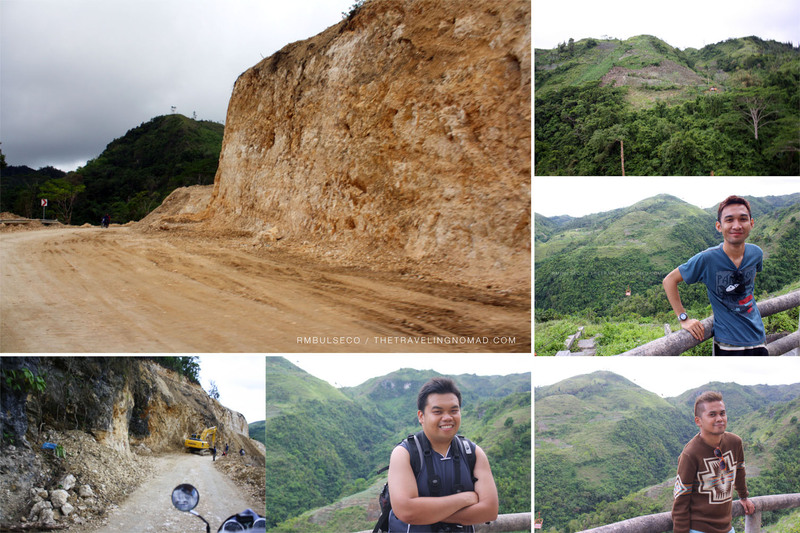 After we met up with The Pinay Solobackpacker aka Ate Gail (finally, I met an online celebrity) at Obong Spring, we went back to the town center and hired a motor (habal-habal) that would take us to Barangay Mantalongon, the jump-off point to Osmeña Peak. The habal-habal driver drove us to the base of the summit, a good 30-minute climb to the peak. We decided to take the shorter route to save time. We met Kenneth, our 10-year old guide. Kenneth was recommended by Ate Gail, who was also her guide when she climbed Cebu's highest peak a week prior to our climb. The weather was fine when we started the climb. We didn't feel the heat of the afternoon sun due to the cold wind blowing from the summit. During our ascent, we encountered a lot of wild and tall grasses, berries and other vegetations. Not to mention that the trail was a bit muddy. In the middle of our climb, the wind started to blow again and the clouds began to shroud the trail. Oh oh, zero visibility! It was like a scene from Silent Hill. We did not see anything when we reached the summit. The weather didn't change AT ALL. It was actually a blessing to have Robbie with us. Being a self-proclaimed Diyosa of da Repablik of da Pilipins, he actually instructed the clouds to clear up. "Pwede ba clouds? Umalis ka muna para gumanda ang view namin?! ", he shouted. Minutes after, the wind started to blow. The view was really spectacular. Unlike other mountains, the summit of Osmeña Peak is composed of multiple rocky hills, making it as its unique topographical feature. As the highest peak of Cebu, the summit offers a breathtaking view of both eastern and western side of the island. It was a fantastic experience, I tell you. Obligatory Osmeña Peak jump shot. Only Robbie dared to do such risky jump. Osmeña Peak may be one of the easiest mountains to climb but for first timers like us, there's always this risk before reaching the summit. The trail was generally steep and muddy and the chance of rolling in the deep ravine of the mountain is high, most especially if you're careless. I still had that euphoric feel when I reached the summit, the same feeling when I saw the crater lake of Mount Pinatubo. Conquering the highest peak of Cebu was definitely a dream come true for the three of us. (1) From Cebu City, make your way to the southern bus terminal. Ride a bus that will take you to the municipality of Dalaguete. Travel time is at least 3 hrs. (2) From Dalaguete, hire a motor (habal-habal) that will take you to either Brgy. Mantalongon (if you choose to do the 2-hr trek) or to the jump-off point of the final ascent to O-peak. Fare is Php 500 per motor bike but can be lower if you know how to haggle. (1) You have to pay 20 pesos for the registration fee. (2) Look for Kenneth, a 10-year old guide. He's very nice... even The Pinay Solo Backpacker highly recommends him. (3) You can actually traverse to Kawasan Falls. But when we went there, we decided not to do it due to lack of time. 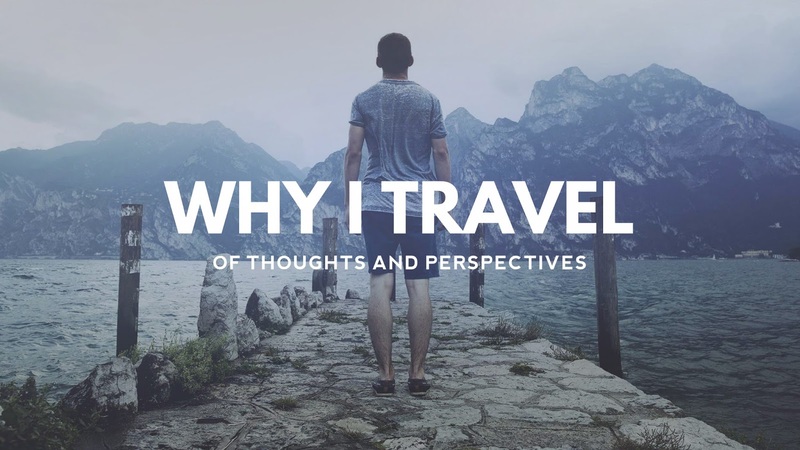 thank you for sharing your adventures with us, great pictures indeed!!! @Christine: Hahahaha! Grabe, kayang-kaya na palang controlin ni Robbie ang weather. Kakatuwa lang! so beautiful.. very nice picture..
Wow ang Ganda ng Osmena Peak! But my target for now is pinatubo.. Anlapit. Ko Lang sa kanya Di ko pa napuntahan.., ;( Puedeng Mahiram ang friend mo next time I travel? Hehe.. For sure pag maalon ang dagat kaya Nya ding pahintuin ang hangin for a while so we can have a safe journey! My last 2 boat trips was so unforgettable kasi.. Hehe and unfortunately I'm not good at praying like your friend. i learned recently that silence is required when you are at the summit...during my last climb, walang clearing dahil maingay raw kami..
Dyowzah talaga ang sizzy Robbie ko! Ikaw na ang in control! HAHA! You should! Ganda talaga sa Opeak! I love the fog Renz... At panalo ung Jump shot ni Rob with the facial expression in side view. haha..
WOW! FINALLY! I've been waiting for this post. Thanks! Naa pay lain right? hahaha. Good for you Renz. Ako nga taga-Cebu wala pa gyud nakaadto. But I made plans already. I am not sure when I can go back to climbing ways, it's been a very long time since the last time we camp out in the mountains. Conquering Osmeña Peak in Cebu for the first time and telling the world what is all about is an achievement. It could be another boost in the tourism industry of Cebu City. Nice jump! Obligatory Osmeña Peak jump shot is eye catching .i stared at it and wonder how he landed.All the photos are spectacular and you sure did enjoy the trip. ganda nang view . love the jump shot..
Grabe nindota man aning dapita. If opportunity knocks for me to be here. I will not give it a second thought. So, we just don't have Bohol Chocolate Hills, we this rocky hills found in Cebu! Yung 100 per head is not back and forth. This is such an adventurous trip! that jumpshot of Robbie is a keeper! I'd do it too.. hahaha! I envy you with these climb.. I've been trying but with no luck. Hopefully, I'd have Mt Pinatubo as a starter. waaw! I'm from Cebu and I haven't even tried going there. Galing ni Robbie! :)) Great shots of the mountains so fresh and green! Wow, great pics! We went there last July, stayed overnight and traversed to Kawasan falls the next day. :) Grabe, kudos sa friend mong si Robbie. I couldn't even bring myself to stand on the highest rock sa peak, nanginginig ako, wag! When I visit Cebu, I'll make sure to include this on my itinerary. Hiking became my new hobby and I can't help but fall more in love with mountains. I've been to Mt. Pinatubo and it's really a beautiful place, so picturesque.